How our on-call services work is we would typically set aside a 1-2 week window for the sitter to be on call around the expecting moms due date. You would then pay the sitter a day rate for all dates she is on call, and then pay her hourly for the date(s) she will be caring for your other children. We will just need to know the approximate due date and we can begin to schedule around that time. You will only need to pay for the dates your sitter is on call. If you book dates and you go into labor, just let us know and we’ll cancel the remaining dates. We do have a 24-hour cancellation policy, so if you cancel a sitter’s appointment with less than 24 hours notice you will be charged a $50 cancellation fee. If it is more than 24 hours notice there is no fee. The family should also provide cab fare to get the sitter home in case of emergency. First Foods – Peas, Carrots and Stain Stick – Oh My! So your child is ready to start solids? Great! Pull up your rugs and stock your cabinets with baby Oxyclean – life is about to get very colorful! Introducing solid foods is an exciting (and potentially exhausting) milestone. I’ve gone down this road twice and had two very different experiences. I’ll try to be brief because you’re likely reading this post while trying to pee and keep your child from pulling all of the toilet paper off the roll at the same time. With my first child, I had no clue what I was doing. I felt that my pediatrician wasn’t really providing me with the kind of nutritional support I was looking for. Her recommendation was rice cereal first, then fruits and veggies, etc. Rice cereal didn’t make sense to me because it’s not particularly nutritious and it’s hard for adult bellies to digest – things that make you go hmm… So, because I didn’t have enough on my plate already (pun intended), I decided to do a little digging. I asked around, read a few books, consulted a holistic pediatrician and reached out to my friends abroad. Turns out, other cultures are feeding their children what they eat (in a mushier form) and are a lot less scientific (read: neurotic) about the feeding process altogether. I decided to give my son veggies and fruit first. So for 3-4 hours a week, I holed up in my kitchen and I did the Betty Homemaker, made from scratch purées thing. While a valiant effort on my part, I couldn’t keep up with his appetite and I was tired of the massive clean up. Make food, clean up food, diaper change, stain remover, rinse, wash, repeat. I also thought that the point was that he actually got the majority of the food I was serving in his mouth – as opposed to all over my (occasionally) washed hair and on the walls, so I made sure I was leading the charge by feeding him and making helicopter noises to get him to open his mouth. It worked – well enough, I suppose. I tried baby lead weaning – his determination to choke himself and my fear of said choking, ended that exploration rather quickly. The downside of purées (other than the labor intensive part) is that at some point you’ll have to go back to square 1 when they graduate to food that needs to be chewed! Ugh, are we there yet?! Some of you may not have entered this stage while others are thinking . . . been there, done that, got the strawberry stained t-shirt to prove it. Bear with me. Fast forward two years and another child later – we were at the golden gates of feeding and I didn’t have the time or energy to go down the purée path again. I felt guilty that I’d done it for my son and didn’t want to “deprive” my daughter of the healthy food I’d provided him. I put on my strongest poker face and gave her whole foods and trusted (read: prayed to God) she wouldn’t choke herself. She would take larger bites than made me comfortable, but I gave her the space to explore it and sure enough she would spit out pieces that were too big to swallow. I reminded myself to keep my face neutral – if she was coughing or gagging, she wasn’t choking (I strongly suggest taking an infant/child CPR class – for safety and confidence). I had to watch her carefully, but I gave her what we were eating and I tried to give it to her in a way that she could feed herself. And here is the kicker – she did! She even figured out how to use a fork and spoon by herself and she’s only 18 months. My 3.5 year old is still struggling with this skill. I’d love to tell you there is a one-size fits all method of feeding kids but as with everything in child rearing – that’s not the case (because that would be TOO easy!). My advice is, try to be relaxed when you start this process. Of course, consult your pediatrician if you have any concerns. Know that right now, your child is getting nourishment from breast milk or formula so take the stress off yourself to get them to consume food for that purpose early on. Your role is to provide them with what you deem as healthy food exposure – their role is to decide whether or not to eat it. Exposing our babies to foods is less about filling their bellies up so they can sleep through the night (although I hear this is a nice side effect for some, it wasn’t the case for my kids) and more about letting them explore flavors, textures and figure out “how” to eat and what is safe to swallow. So what should you feed them you ask? From a nutrition standpoint – try to feed your kids as many whole unprocessed foods as you can. Organic is best, but not always available or affordable so check out the Dirty Dozen and Clean Fifteen, which can help you make the best decisions for your family. Life is busy – there is never enough time so don’t beat yourself up if you give your kids some processed stuff, but be cautious about the sugar and sodium content – you’d be surprised what can be in baby foods. With the advice of our holistic pediatrician, we started with orange vegetables (roasted sweet potatoes, butternut squash, pumpkin), green vegetables (peas, broccoli, string beans), fruits (avocado, strawberries, bananas, apples, pears), meats and fish (rotisserie chicken is a great one or even the meat and veggies from chicken soup) and grains (quinoa is a fantastic source of nutrition and really easy for kids to eat). Advice regarding nuts has changed over the last year. New research indicates early exposure to trace amounts of nuts helps decrease allergies. Be sure to check with your pediatrician on the most accurate data and don’t be afraid to do research of your own – it can take a while for new studies to make it to your Dr.’s desk. Most of all, listen to your gut – mother’s intuition is a real thing. Be patient with yourself and your child – this is new for both of you. If something is not working, change it up. I knew the way I approached eating with my son wasn’t successful so I did things differently with my daughter. She eats just about everything from fish to quinoa and she makes a massive mess in the process, but she has a healthy appetite for new foods and is an independent eater. If it means I need an extra paper towel to mop it up after, well, that’s a small price to pay. Looking for a little more guidance on feeding your family? Contact me for a free consultation at thrivehivewellness@gmail.com. Take in the sights of the Plaza Hotel during Kidz Central Station’s event this Veteran’s Day (November 11), from 5-7:30pm. Make it a family early evening on the town and enjoy activities including face painting, a magician show, dj glow stick dance party, photo booth, and much more! In honor of Veteran’s Day a portion of proceeds will be donated to the Bob Woodruff Foundation to help disabled veterans. Don’t miss out! Join Kidz Central Station and their partners for this amazing fall event! To register, click here. Celebrate the World Series Like This! 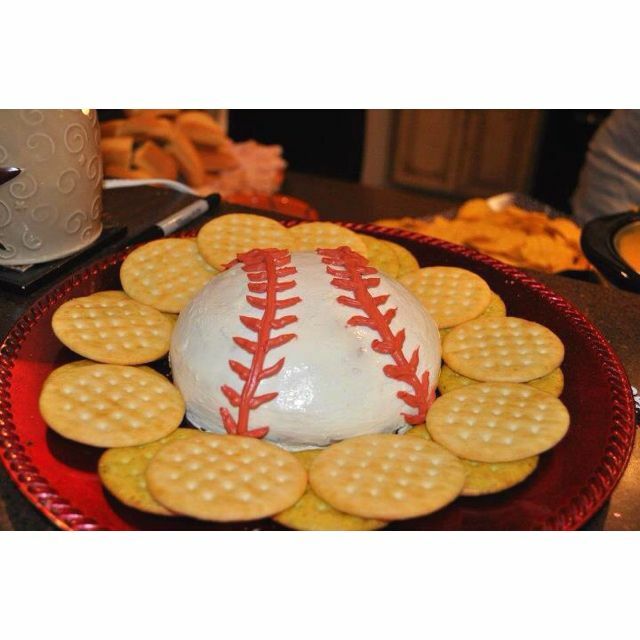 It’s Game 6 of the World Series tonight, and whether you’re a Cleveland Indians or Chicago Cubs fan, we all know the best way to cheer on your team is through the food. Here are some fun things to try out if you are the lucky party host! 1. For the cheese lovers. 2. For the pizza lovers. 3. For the peanut lovers. 4. For the people at the party trying to be healthy. 5. For the people at the party trying to be unhealthy.